“The most expensive hobby a rich man could have is a boat, and the second most expensive hobby he could have is a very old house.” - Barbara Ann Corcoran, Former owner of The Corcoran Group, a real estate company focused on homes in New York City, the Hamptons and South Florida. Several presidents of the United States have traditionally had fine homes away from Washington D.C. to get away from the hustle and bustle of the White House. George W. Bush had a ranch in Crawford, Texas, and his dad, George H. Bush maintained an oceanfront estate in Kennebunkport, Maine; for President Trump it is the National Historical Landmark of Mar-a-Lago resort in Palm beach. 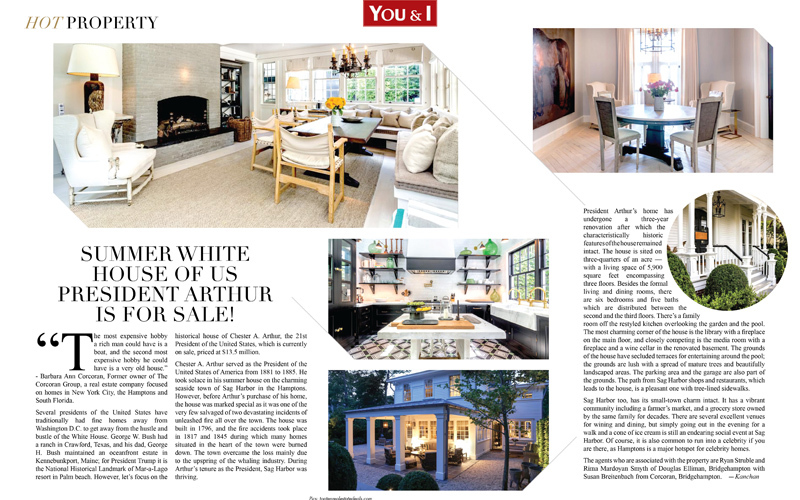 However, let’s focus on the historical house of Chester A. Arthur, the 21st President of the United States, which is currently on sale, priced at $13.5 million. Chester A. Arthur served as the President of the United States of America from 1881 to 1885. He took solace in his summer house on the charming seaside town of Sag Harbor in the Hamptons. However, before Arthur’s purchase of his home, the house was marked special as it was one of the very few salvaged of two devastating incidents of unleashed fire all over the town. The house was built in 1796, and the fire accidents took place in 1817 and 1845 during which many homes situated in the heart of the town were burned down. The town overcame the loss mainly due to the upspring of the whaling industry. 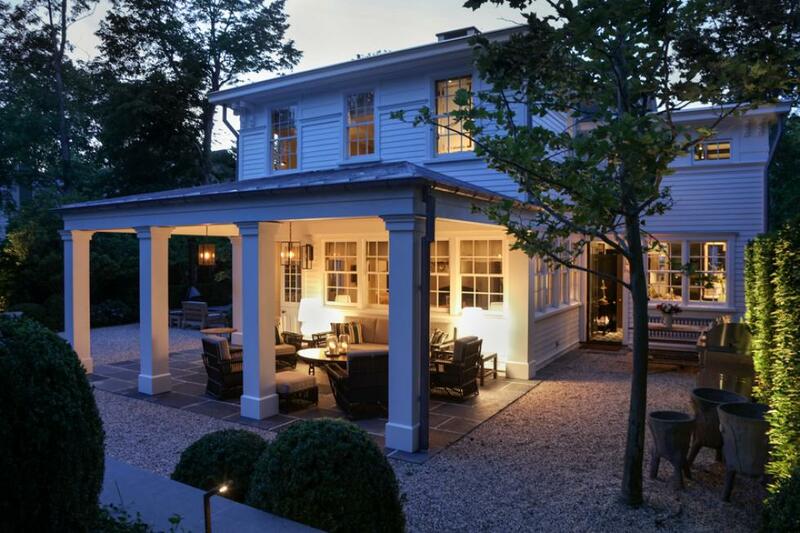 During Arthur’s tenure as the President, Sag Harbor was thriving. President Arthur’s home has undergone a three-year renovation after which the characteristically historic features of the house remained intact. The house is sited on three-quarters of an acre — with a living space of 5,900 square feet encompassing three floors. Besides the formal living and dining rooms, there are six bedrooms and five baths which are distributed between the second and the third floors. There’s a family room off the restyled kitchen overlooking the garden and the pool. The most charming corner of the house is the library with a fireplace on the main floor, and closely competing is the media room with a fireplace and a wine cellar in the renovated basement. The grounds of the house have secluded terraces for entertaining around the pool; the grounds are lush with a spread of mature trees and beautifully landscaped areas. The parking area and the garage are also part of the grounds. The path from Sag Harbor shops and restaurants, which leads to the house, is a pleasant one with tree-lined sidewalks. 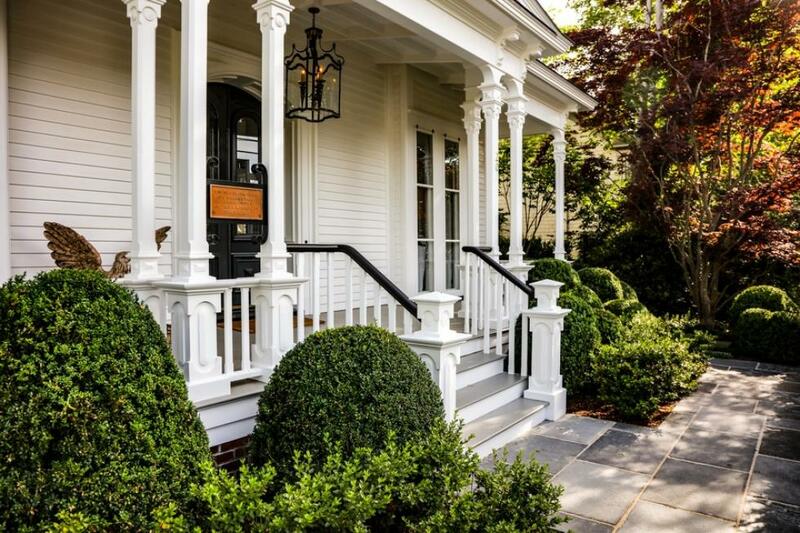 Sag Harbor too, has its small-town charm intact. It has a vibrant community including a farmer’s market, and a grocery store owned by the same family for decades. There are several excellent venues for wining and dining, but simply going out in the evening for a walk and a cone of ice cream is still an endearing social event at Sag Harbor. Of course, it is also common to run into a celebrity if you are there, as Hamptons is a major hotspot for celebrity homes. The agents who are associated with the property are Ryan Struble and Rima Mardoyan Smyth of Douglas Elliman, Bridgehampton with Susan Breitenbach from Corcoran, Bridgehampton.